The deadline for submitting comments on the Project 25 Compliance Assessment Program (P25 CAP) draft Compliance Assessment Bulletin (CAB) was extended to March 31. Issued by the U.S. Department of Homeland Security (DHS) Science & Technology Directorate (S&T), this draft CAB addresses P25 baseline Inter RF Subsystem Interface (ISSI) and Console Subsystem Interface (CSSI) conformance testing requirements. The bulletin expands the P25 CAP’s testing scope to allow a more diverse set of equipment becoming a part of the program. 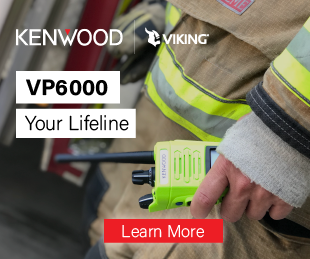 P25 CAP is a voluntary program that allows communications equipment manufacturers to publicly attest to their products’ compliance through testing at DHS-recognized laboratories. All approved equipment is eligible to be purchased using federal grant funding. After the comment period, DHS S&T will review comments, incorporate feedback, as appropriate, and finalize the CAB. The final CAB and adjudicated comments will be posted to the P25 CAP website.